Local Entrepreneur Signs Agreement to Bring, “Any Meal, Any Time” to Livingston, LIVINGSTON, January 12, 2017 – Huddle up, Livingston. Huddle House is coming your way. The iconic neighborhood gathering place known for its round-the-clock breakfast, Southern hospitality and big portions at fair prices announced today it has signed an agreement with local entrepreneurs, Sohail (Sam) Ali and Rafiq Karovaliya, to open a Huddle House in Livingston. “Whether you’re a Livingston local or a traveler just passing through town, Huddle House’s warm and welcoming atmosphere will make you feel at home,” said Ali, a serial entrepreneur from Springs, Texas who currently co-owns several C-Stores, Subways and travel centers throughout the state with his cousin, Rafiq. The Livingston location will be Huddle House’s 17th restaurant in Texas. Site selection is currently underway for the location of the new restaurant. Based in Atlanta, Huddle House restaurants have earned adoration in their communities for their warm, friendly atmospheres where every conversation, sip of coffee and bite of home-cooked meals are savored. 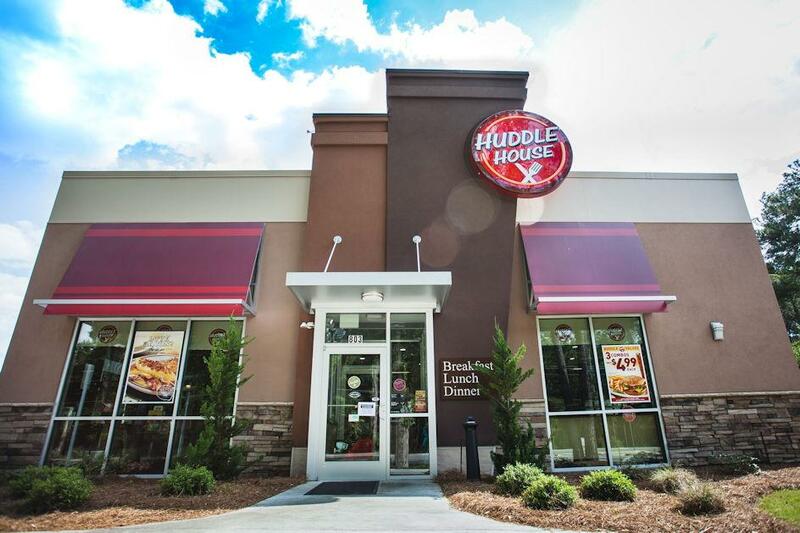 The new Huddle House arrives amid a dynamic growth phase for the brand. In addition to this new location, Ali and Karovaliya are also planning to open another Huddle House in Hempstead. Huddle House’s commitment to serving freshly prepared home-style food in a friendly environment that brings communities together has won over a loyal and growing base of guests that clamor for the brand in their communities. There are currently more than 363 Huddle House restaurants across the United States with an additional 42 in development. For more information on Huddle House in Livingston and elsewhere, visit huddlehouse.com. Committed to serving “Any Meal, Any Time,” Huddle House restaurants have become icons in the communities they serve throughout the country. The core values on which the brand was founded – serving freshly prepared, quality home-style food in a warm, friendly environment that brings the community together – are as true today as they were when it was founded 52 years ago. Today, the brand has 363 locations open and an additional 42 in development.